Gives your child "The paws to uphold the laws!" Is he hopelessly devoted to his favorite TV show? Does he spend all of his time waiting for the day when he can jump into the action? Does he aspire to actually become part-canine so he can become the new leader of the Paw Patrol team!? Well, we can't turn him into a dog, but we can let him play one in this deluxe Chase costume! 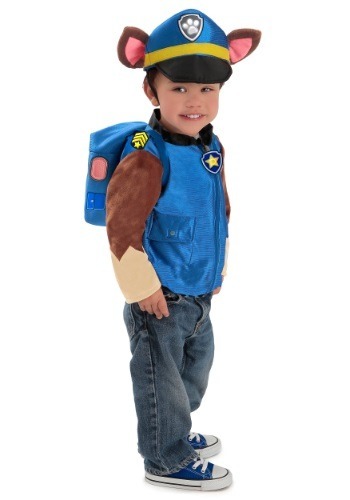 This costume perfectly captures Chase's animated appearance. Right down to the hat, backpack, and badges that let everyone else know he's on duty, any boy is sure to be ready to lend a helping paw in this deluxe Paw Patrol Chase costume. 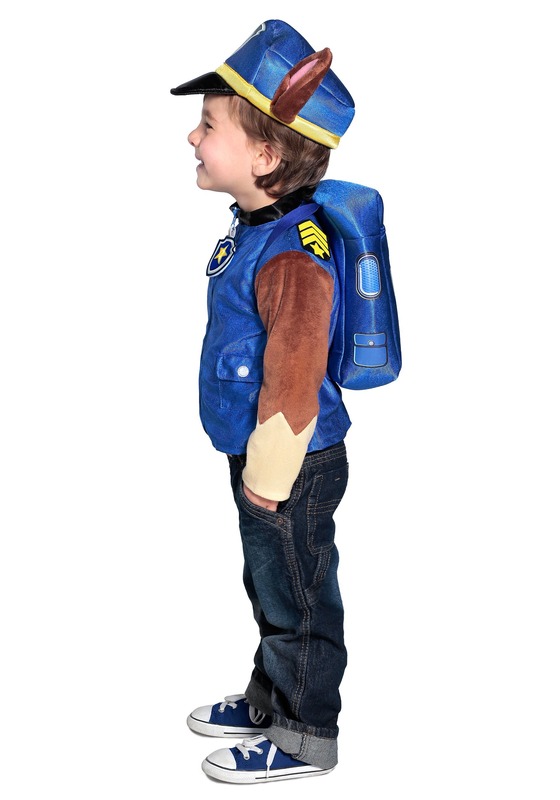 Nickelodeon officially licensed, this costume features a polyester top that will let him wear his own jeans or pants to complete the look. All he'll have to do is top his head with Chase's signature hat, and he'll be ready for action. (And since the hat includes plush ears, he'll feel like he's part dog when he wears it!) 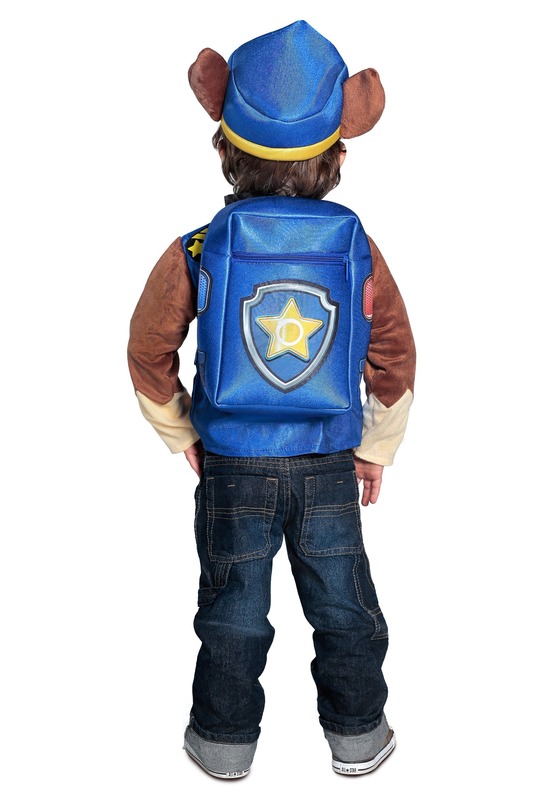 We're sure if there's any trouble in your home, your little guy will be ready to get into action when he's got this costume. All he'll have to say is "Chase is on the case"!